Bicycle restoration has been slow lately as I have been overhauling my shop to maximize time, efficiency and to bolster structure. My workspace is small and physical real estate comes at a premium. 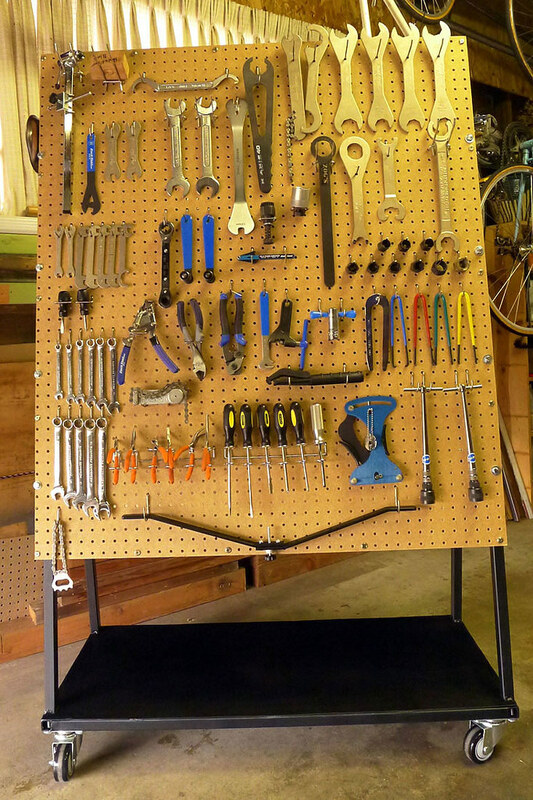 I needed a solution to keep my growing bike tool collection organized, within my reach and mobile. 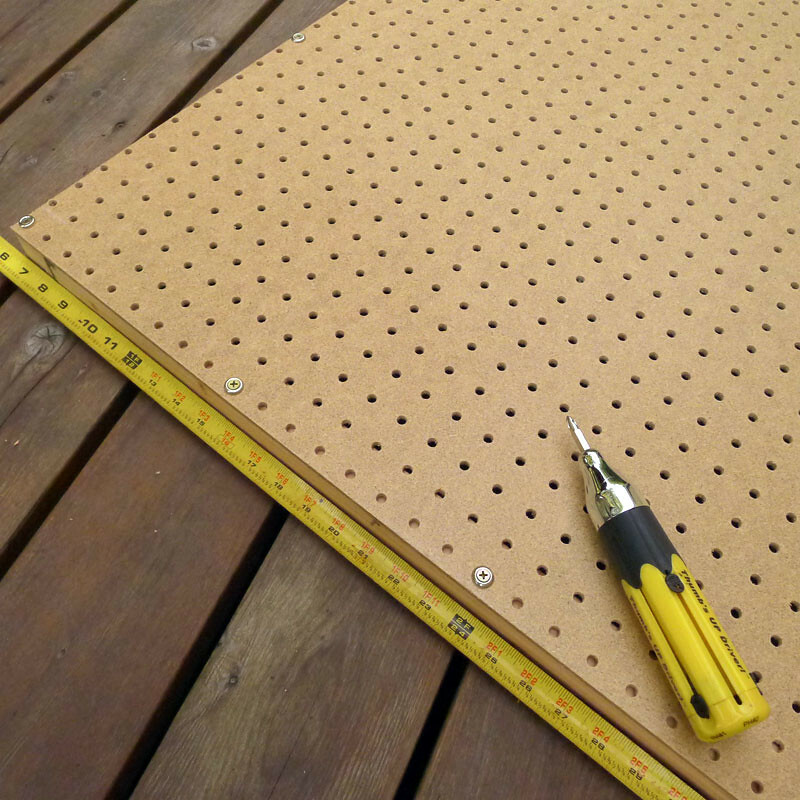 I envisioned a rolling pegboard but I didn’t want to fabricate the idea from scratch. Through the powers of the internet I discovered that someone has already gone through the hassle of roughing out and creating the final product so I didn’t have to. Below is my attempt at recreating his work and giving it my own spin. 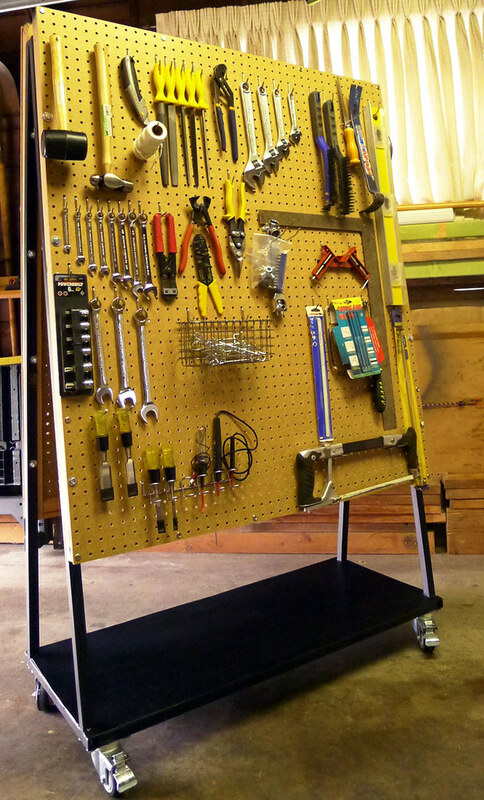 Brad Justinen boasts building a “$500+ Pegboard Cart for $30-$50”. Enticing, no!? 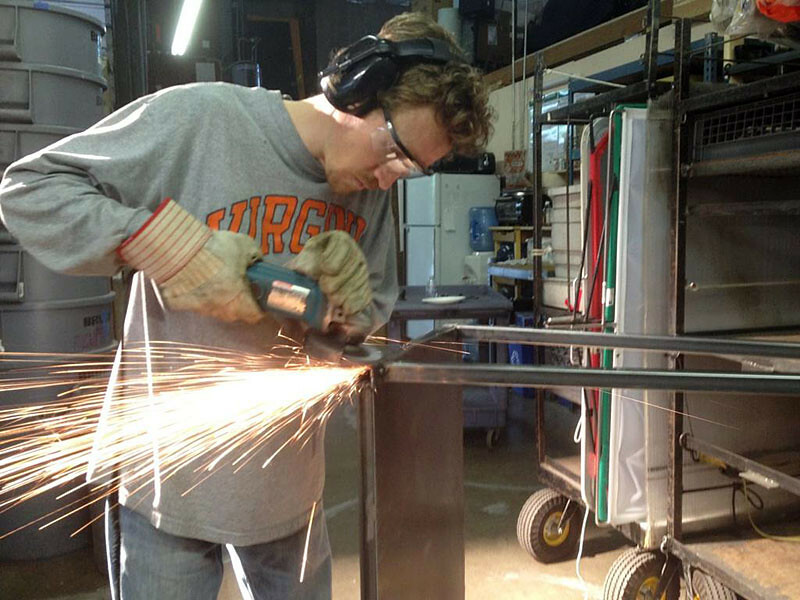 The cart may certainly be worth $500 to some but I believe the final cost is a bit misleading, that is, unless you already have your own scrap steel station lying around. 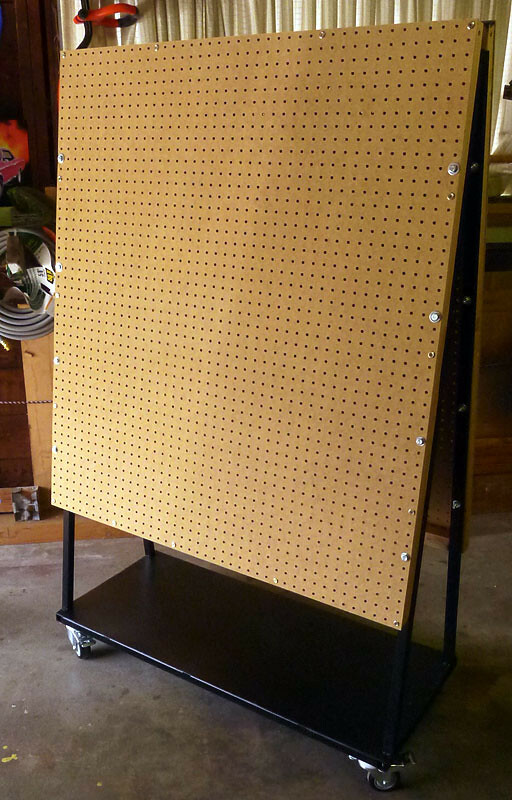 So, not too painful of a financial investment for full blown “$500+ Pegboard Cart”. 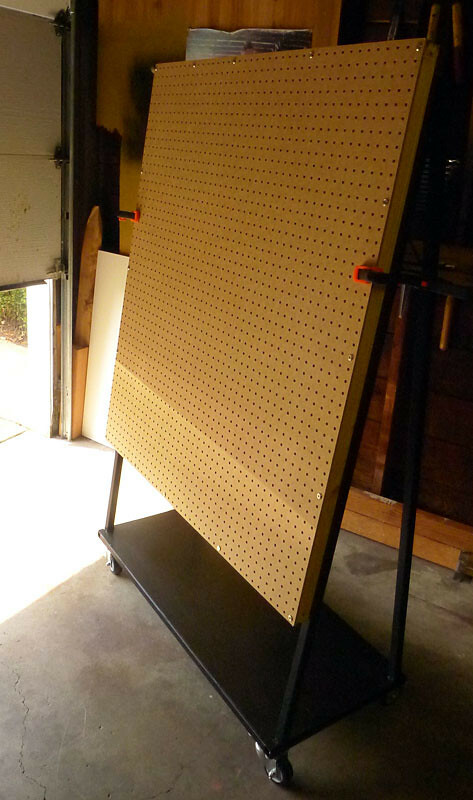 The final pegboard size was 4’x3.5′ rather than 4’x4′ only because it fits perfectly in a slot I have reserved in my garage. 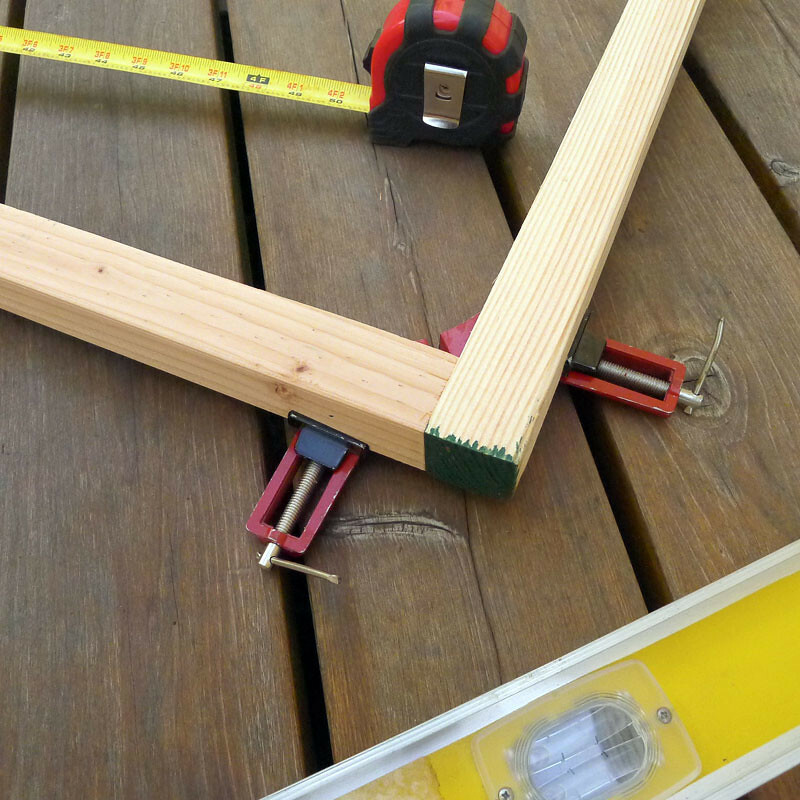 If I would have had the room, I would have put an extra 6″ on the height and made it anywhere from 12″-18″ wider. 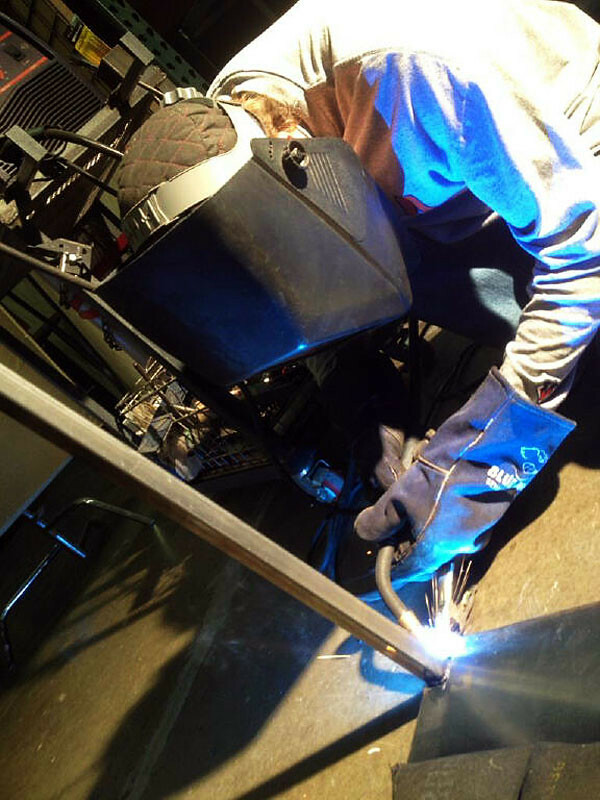 All welding was done at one time. 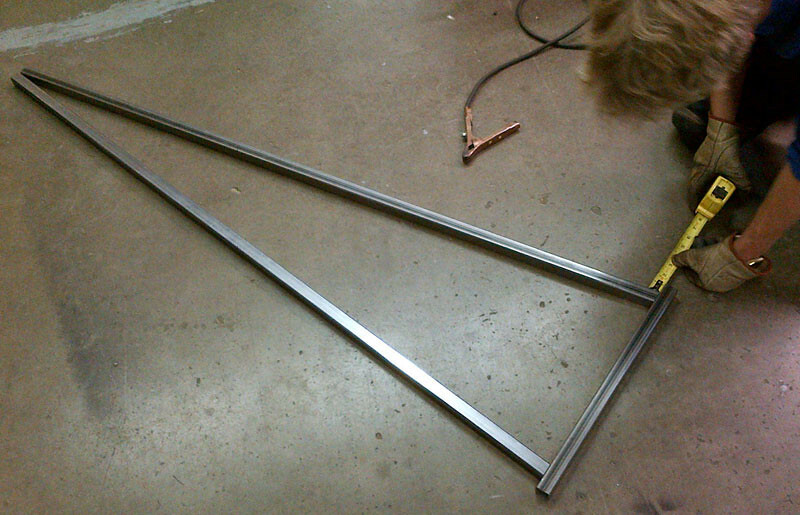 I did not go back and weld bottom supports and shelf as Brad did in his instructions. 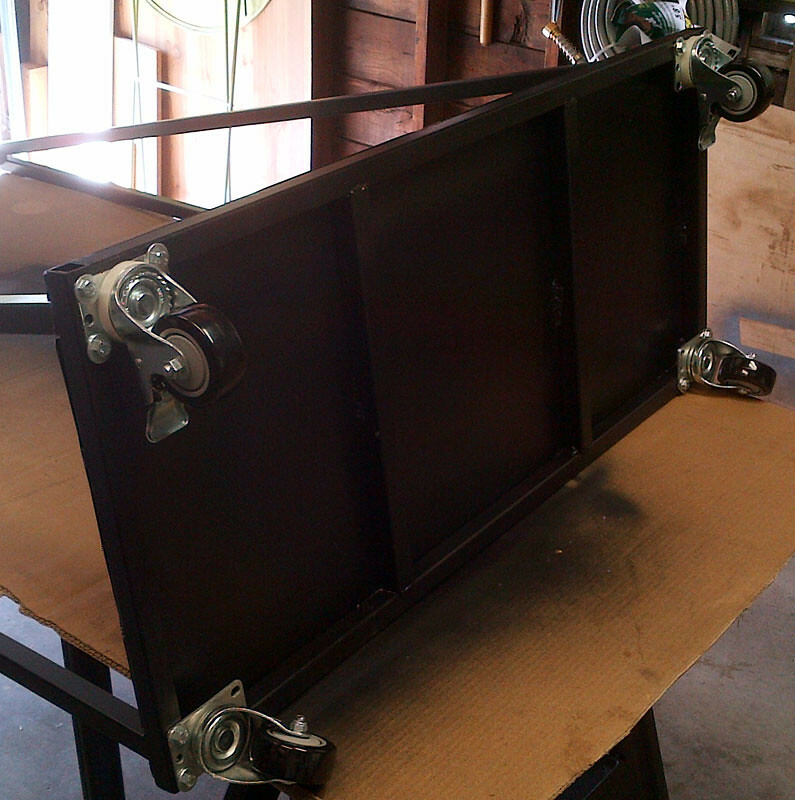 A flat, solid piece of sheet metal was added at the bottom to securely hold future bolt bins. 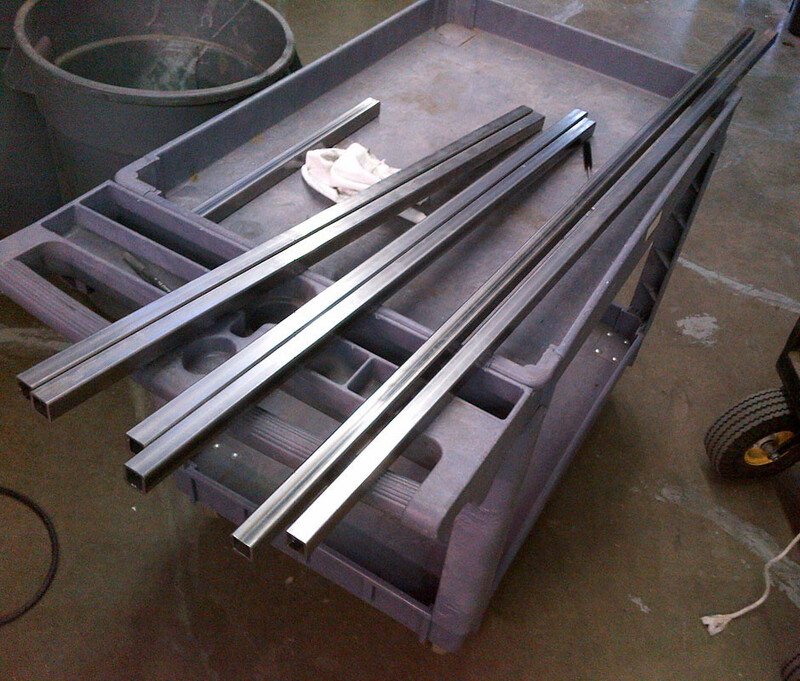 The casters were attached via drilled/tapped holes in the steel rather than welding the casters to the frame. 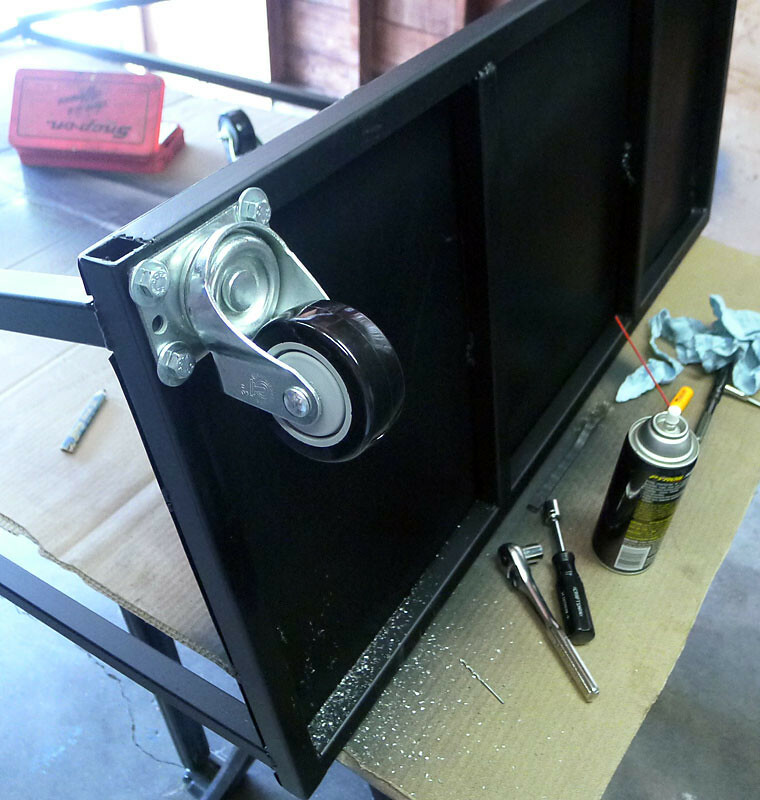 This is a less secure setup than the original instructions but if any issues arise with the casters, they can be removed and replaced easily. 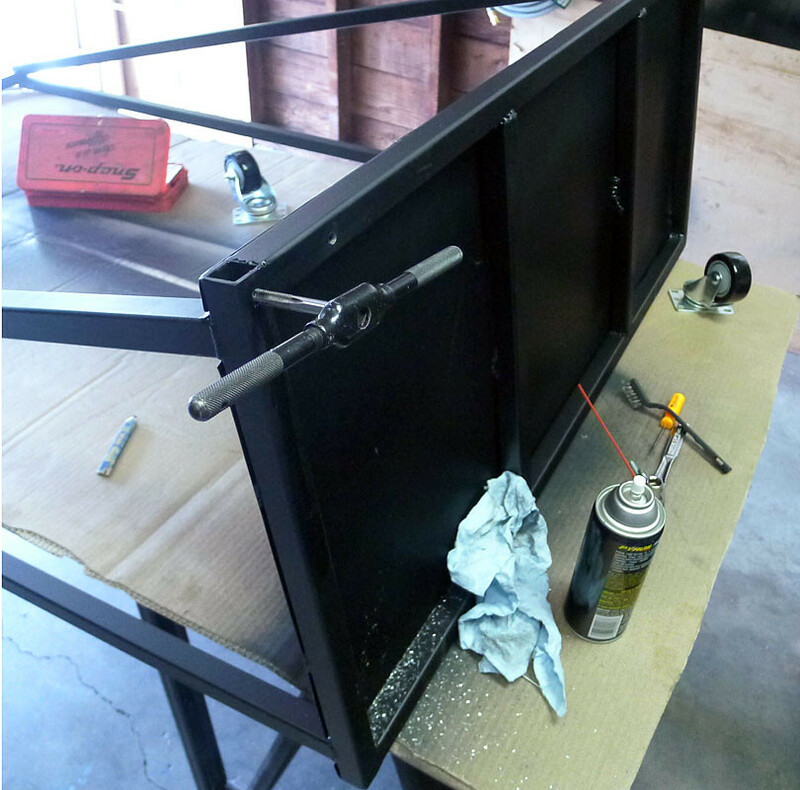 I did not see the need to have the pegboards connected with a hinge and hung over the trusses so I welded a support bar horizontally at the top and bolted the pegboard frames to the sides of the steel frame. 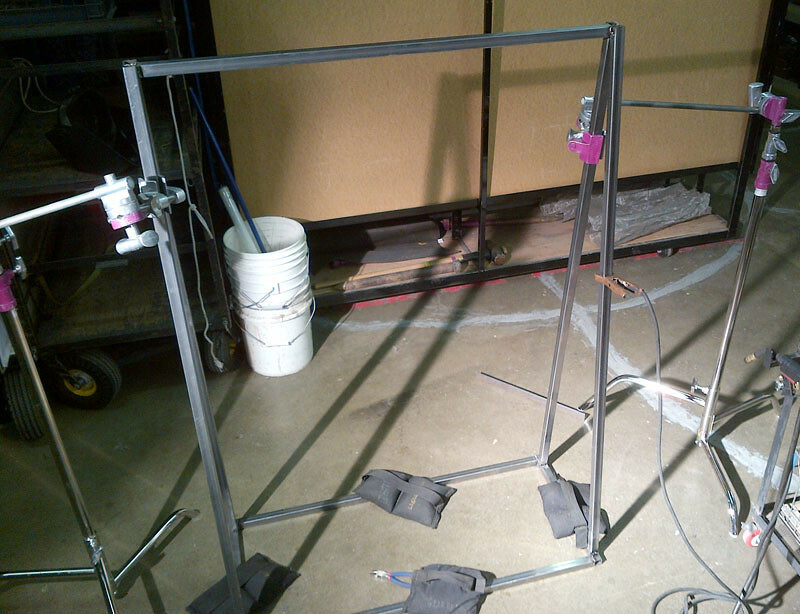 A buddy has access to a full blown fabrication shop so he helped out with the metal work. 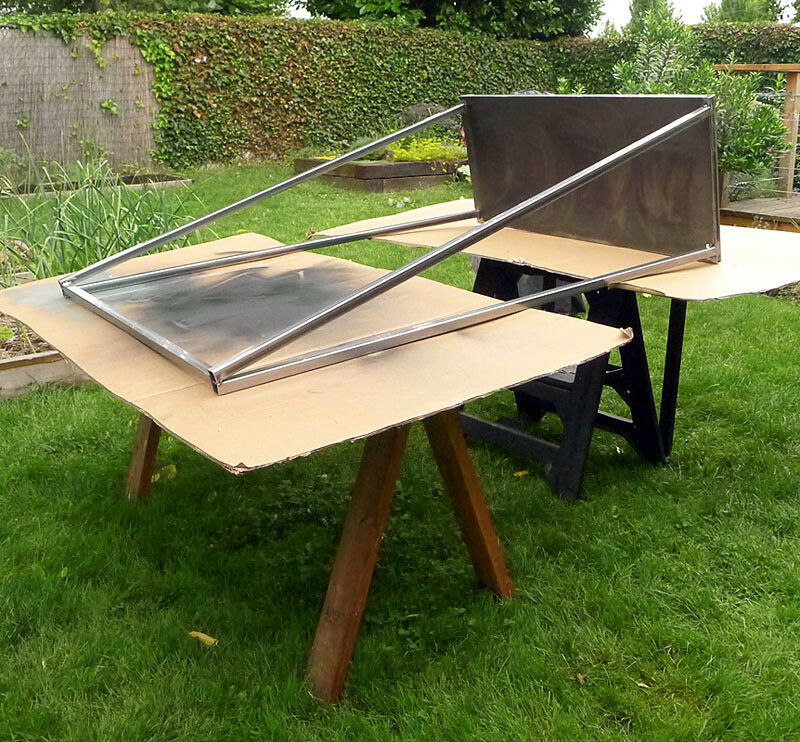 Without already having that equipment (mainly the welder, metal saw and all equipment that goes with the two), it would have been a much more difficult and expensive project to accomplish. 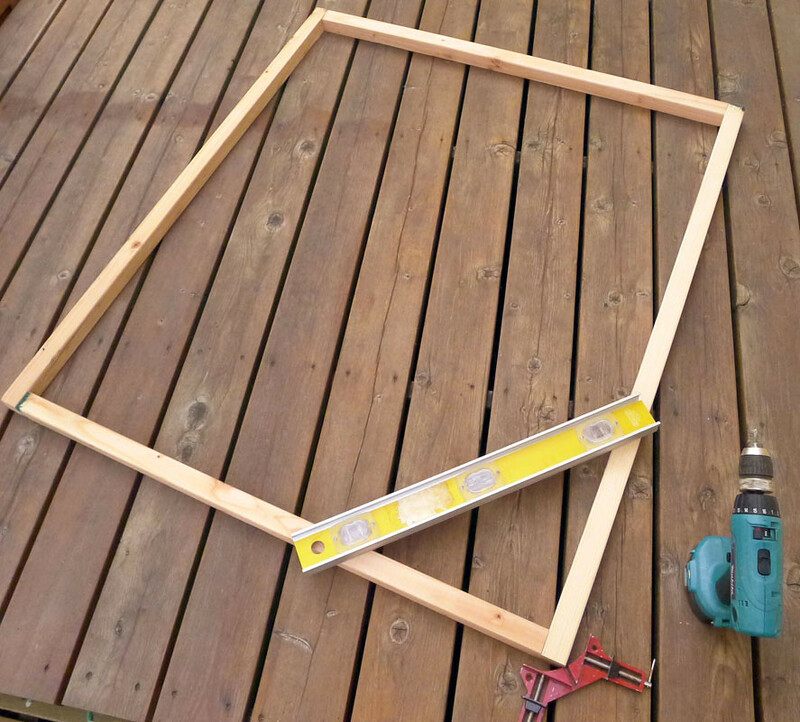 Attaching at least two more bars in between the two trusses. 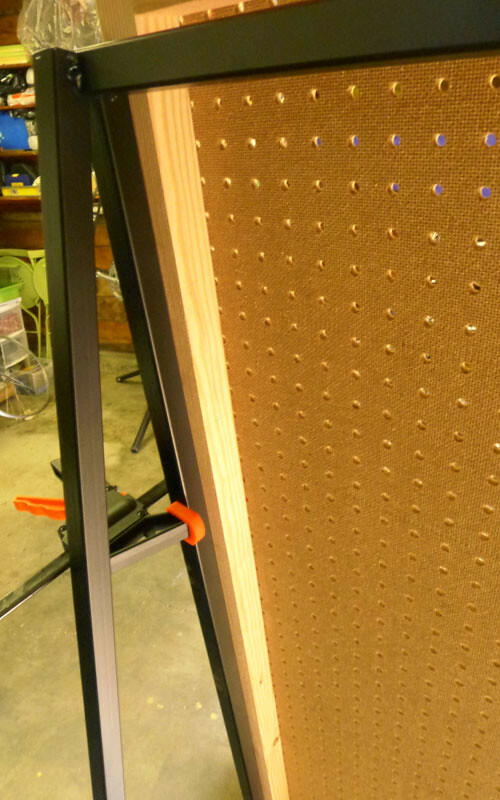 This could serve as more points to hook items on or even as a frame to attached a custom cut piece of pegboard to. 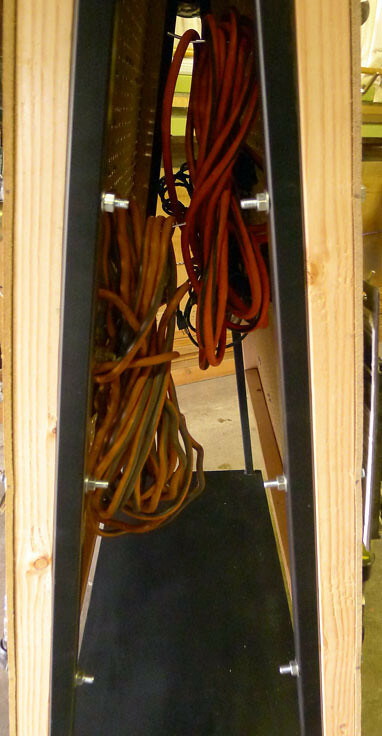 The casters are bolted down in three places leaving the fourth connection point open, since there is nothing to bolt it too. 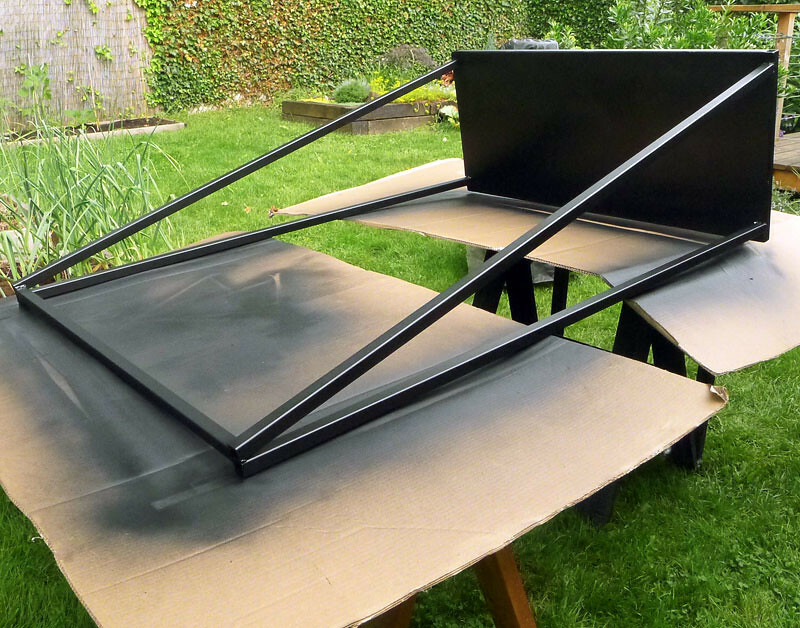 A solution to this could have been to cut small, 1″-2″ chunks of scrap steel and weld them onto the underside of the sheet metal where a fourth hole for the caster could be drilled/tapped. Now that all my hardware is up and visible, it gave me a sense of just how many bike specific tools I actually have. Wow! 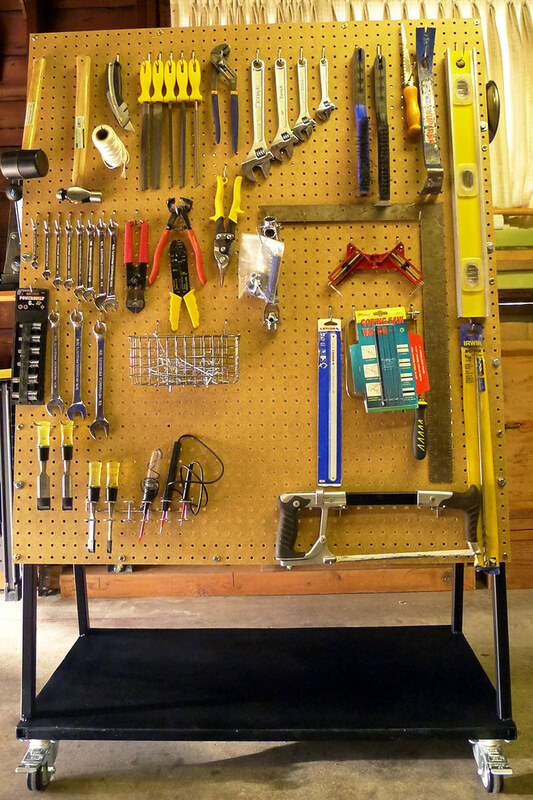 I am shocked that one entire side is nearly filled up with tools only used for bicycle repair work. The other side is reserved for regular home improvement type tools. The last shot shows a peek inside where I will be hanging extension cords and other bulky items. 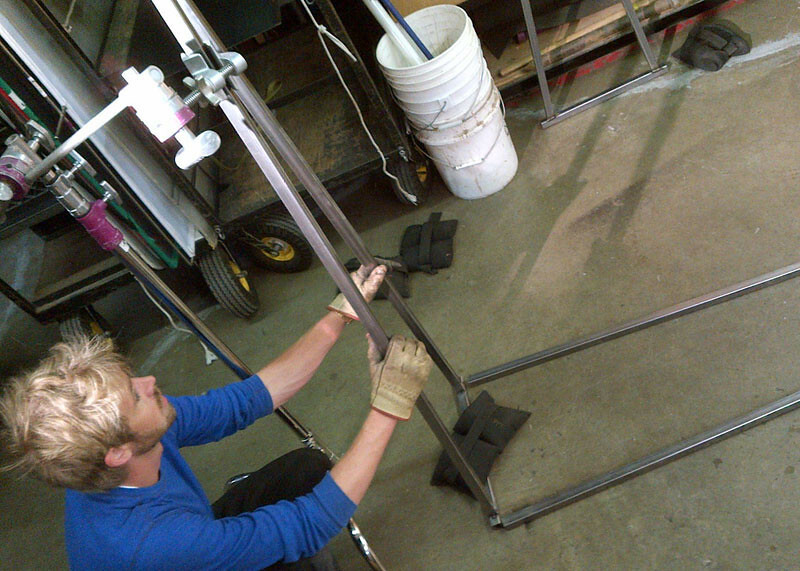 After a few days of using the mobile tool cart, I am finding it to be an extremely necessary and useful tool. I am actually quite shocked that I did without it for this long. The cart has saved me loads of time, is keeping me well organized, navigates and rolls incredibly smooth, is stable, sturdy and holds all of my present tools with ease and with room to spare. Although, if I need to expand my bike specific tools, I could always take over the other side and build another cart dedicated for “home improvement” only. This type of mobile cart may not meet the needs of everyone but it has certainly won my heart and is extremely adequate for a small time hobbyist like myself. If you are a bicycle wrencher or have another specialized craft and space in your shop is tight, I would highly recommend this project! Nice one! I love tool organization! Me too! It sure has made my life easier. I humbly appreciate your comments, Antalya. Readers like you make it my pleasure to put myself out there for all to read. 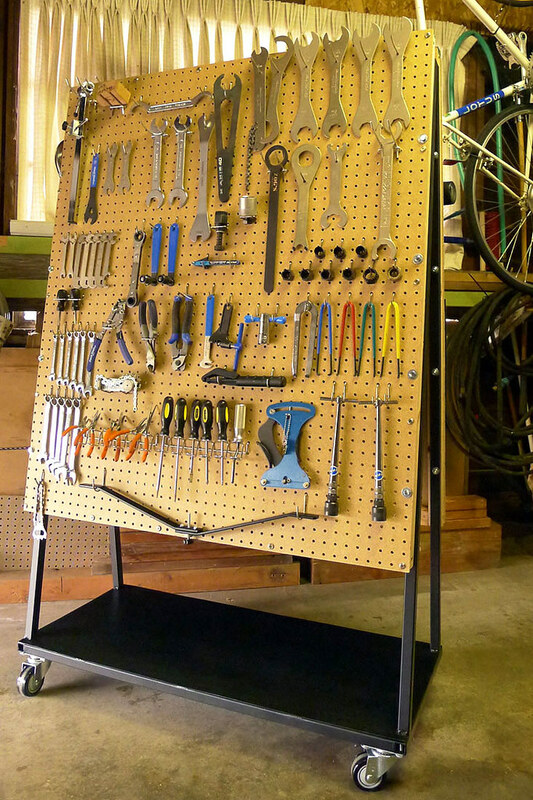 This entry was posted on July 26, 2012 by Josh C. in Cycling Projects, Topics and tagged Logsdon Saison, Mobile bike tool cart, Pegboard, Rolling cart, Storing bicycle tools, Welding.